The 4C rear-wheel-drive supercar concept has a carbon chassis to keep weight down. 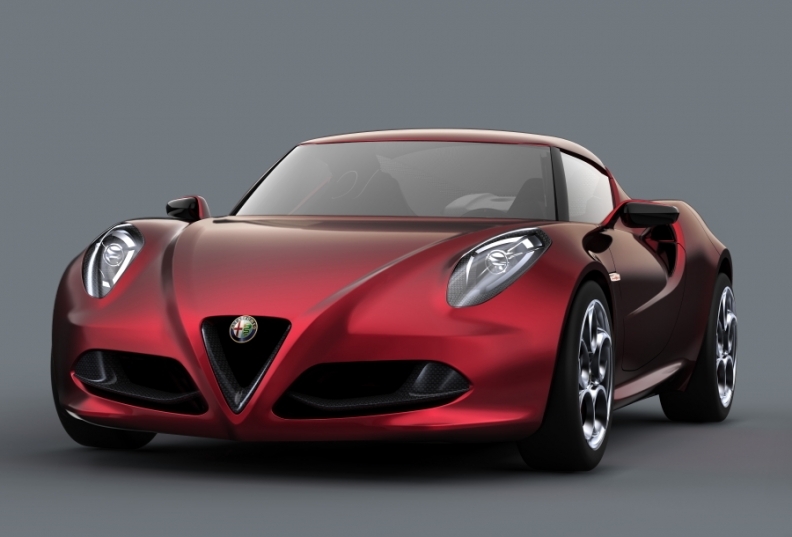 GENEVA – Alfa Romeo says the production version of the 4C rear-wheel-drive coupe will be a sold around the world. The automaker plans to build 15,000 to 20,000 units of the 4C coupe over five years, two people familiar to the matter told Automotive News Europe. Another 5,000 to 10,000 units of a roadster version of the 4C will be built for Abarth, the sources said. Abarth is Fiat's sporty subbrand that markets high-performance versions of the Fiat 500 minicar and Punto Evo subcompact. Fiat's struggling Alfa brand is set to price the production 4C at about 45,000 euros (about $62,000) in Europe, company sources say. 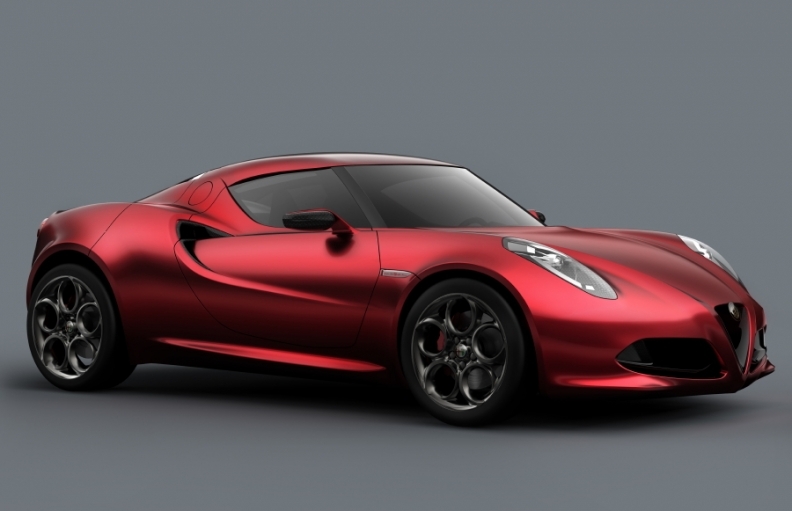 The Alfa Romeo 4C concept can go from zero to 100kph in less than 5 seconds. The 4000mm-long, 200-hp mid-engine 4C concept took design cues from the legendary 33 Stradale, company sources say. Launched in 1967, the 33 Stradale was a rear-engine, rear-drive two-seat coupe powered by a 230hp 2.0-liter V-8 derived from Alfa's 33 racecar. Alfa built just 18 units of the 33 Stradale. The 4C concept was styled by the Fiat Group subsidiary's design center in Turin. The car is rakish, very compact and extremely low to the ground. The 4C will go on sale at a crucial time for Alfa because by the final quarter of 2012 the company also plans to introduce the Giulia mid-sized sedan to replace the slow-selling 159 and launch the brand's first ever SUV, a sister model to the Jeep Compass/Patriot replacement. Fiat S.p.A. CEO Sergio Marchionne wants to lift Alfa sales to 500,000 units by 2014. Alfa's global sales last year increased a modest 10.2 percent to 112,000 units. Thanks to an innovative construction method, which combines carbon fiber and aluminum, the 4C will weigh less than 850kg (1,784 pound). At that weight, the 4C would have an impressive power-to-weight ratio below 4.0kg/hp. By comparison, the rear-engine, rear-drive Porsche Cayman coupe offers a 3.98kg/hp weight-to-power ratio even for the S performance model, where 320 hp has to move 1,275kg.